c)��� monitor and assess the observance of human rights in the Republic. b)��� take steps and secure appropriate redress where human rights have been violated. 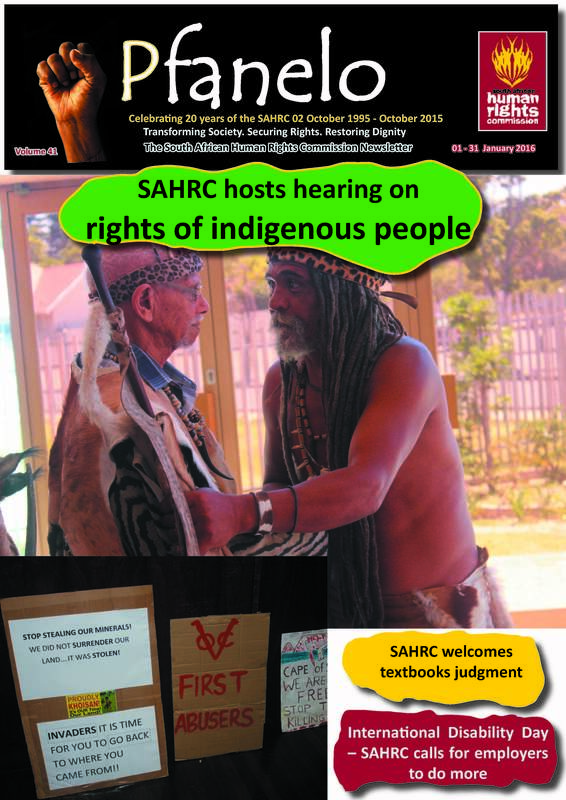 The SAHRC is further mandated by section 7(b) of the Human Rights Commission Act, 54 of 1994 (�the Act�), to maintain close liaison with institutions, bodies or authorities similar to the SAHRC in order to foster common policies and practices and to promote cooperation in relation to the handling of complaints in cases of overlapping jurisdiction. In August 2012, the SAHRC received a complaint into allegations of human rights abuses relating to the incidents at Marikana and in accordance with the Act, the SAHRC is required to consider such complaints.� However, it was, and remains our view that it is most appropriate that theMarikana Commission of Inquiry conducts and completes its investigation as the outcome of that process will most likely speak to concerns raised in the complaint. The findings of fact undertaken by the Commission of Inquiry are, to a large extent, the findings of fact that will inform the SAHRC�s work in relation to the causes and consequences of the events on the 16th day of August 2012.�� In order to avoid an inevitable degree of overlap between the scope of the Commission of Inquiry's and the SAHRC's investigations the SAHRC decided to participate in the Marikana Commission of Inquiry. The SAHRC has adopted two roles in the Commission of Inquiry, both derived from its Constitutional responsibilities. (a) First, the SAHRC has participated as a watching brief, monitoring both the evidence and procedure at the Commission of Inquiry. (b) Secondly, the SAHRC has sought to represent the public interest in the promotion and observance of human rights. In that role, the SAHRC has brought evidence on specific matters, where it appeared that no other party would do so.